Facies Civitatis GLASGOW... / The Prospect of ye Town of GLASGOW... - KIP, J.
Map maker : KIP, J.. Date : London, ca. 1720. Size : 10.6 x 16.9 inches. / 27.0 x 43.0 cm. 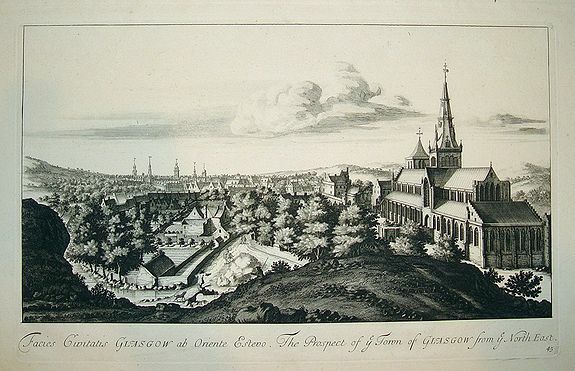 Description :An exquisitely engraved and decorative view of the Scottish town of Glasgow, from John Kip's famous BRITANNIA ILLUSTRATA. Superb detailing. Plate is numbered "45". Scarce item. Condition : In mint condition. Strong and dark impression on thick, sturdy paper.